Beware of Holiday Shopping Scams! That time of year is fast approaching, and once again the internet hordes will be returning to their favorite websites to look for their best possible bargains as Christmas gets closer. Not only are the shoppers preparing, but also, the hackers and scammers will once again be opening their sneaky and oftentimes, phony websites to try and capture your credit card information using holiday shopping scams. Always remember, if a price is so low that you have never seen such a great deal, you may want to consider if it is too good to be true. If you are unsure of a website is legitimate, take a moment, open a second browser windows, pull up your trusty Google page and type the name of the site into it, see if other people have experienced any problems using the questionable sites. If a lot of people are claiming to have been ripped off, you can save yourself a lot of headaches simply by not using that questionable site. There are a few other helpful ways to avoid being trapped by phony online scams. Make sure that the spelling is correct. You should be shopping at Sears… not… Searz. 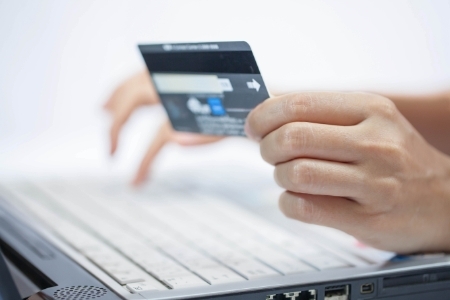 Little tricks like that have made fortunes in stolen credit card info over the years. If you are unsure, you can always contact one of the professionals at PC Geeks at any of their four locations in McKinney, Frisco, Allen and Plano. They can give you their best advice in avoiding the bad guys that are lurking on the net. If you feel you may have fallen prey to such a thing or contracted a virus or malware from one of those sites we can get you back on track and secure once more.